Atlas Heating Ltd offers you the customer the best guarantee you will ever get- our reputation. The majority of our work comes from recommendation by our existing customers and we cannot afford to let that reputation suffer as a result of customer dissatisfaction. All our labour is guaranteed for a period of one year from completion and labour defects resulting from faulty installation or repair work within the guarantee period are dealt with as a priority. Labour defects arising from faulty installation or repair outside the guarantee period may, at the Company’s discretion, be undertaken either free of charge or partially charged. All materials and products carry a full manufacturer’s warranty, and Atlas Heating Ltd will endeavour to take up complaints or queries on behalf of our customers with the manufacturer. New Worcester Bosch boiler installations benefit from an exclusive 5 year extended warranty as a result of our association with Worcester Bosch Group, together with a ten year guarantee on the main heat exchanger. The warranty is subject to Worcester Bosch’s terms and conditions, which include an annual service being completed every 12 months by one of our skilled engineers. 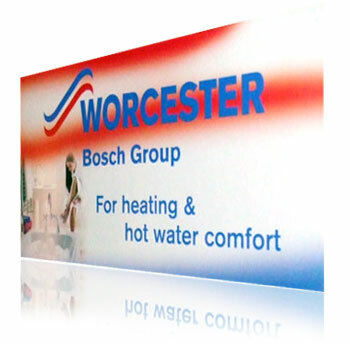 For full terms and conditions, please visit their website at www.worcester-bosch.co.uk .